Season 1. Episode 6 with Hugo Perez. Listen to the podcast. Don't forget to subscribe! Soccer Hall of Fame inductee, Hugo Perez, is a legend and a true agent of change. Perez was part of the generation that influenced tens of thousands of football lovers in the U.S. Perez earned 73 national caps including the Olympic squad. He was a member of the 1994 U.S. World Cup team, and was starter in the unforgettable Round-of-16 match against Brazil. As a coach, Perez has been credited as the architect of the most talented U.S. Youth National team in history. 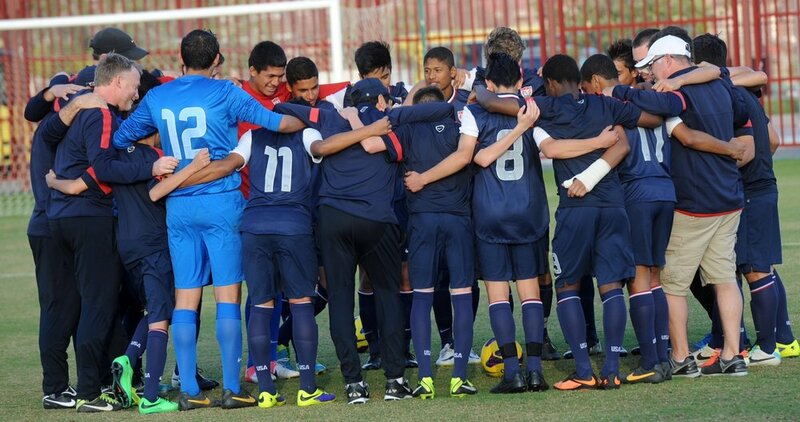 The graduates from his U.S. U-15 boys national squads (between 2012-2014) represent some of the players that can potentially shape the future of the USMNT including Christian Pulisic, Andrew Carleton, Josh Perez, Tyler Adams, Lucas Del Rosario, and Jose Carranza. He also brought Jonathan Gonzalez to the U.S. National Team program. Host: Welcome to Rethinking Football. This is part 3 of our 3-part series interview with Hugo Perez. I am your host, Dawn Brown. The United States men’s national team experienced its worst moment in its recent history in 2017. Despite a desperate change in management, the team had a poor FIFA World Cup qualifying campaign which ended in its elimination, something that had not happened in 32 years. This campaign also brought out the best in some and the worst in others. For example, some of the most iconic senior players and coaches of the men’s and women’s programs made xenophobic comments about players with dual-citizenship that were being considered for the national squad. But not everything was bad news. Dual-citizenship holder, 18 year-old Christian Pulisic, was the leading scorer for the World Cup qualifier campaign, shifting fans’ interest and hopes to the next generation of players, those born in 1997 and younger. 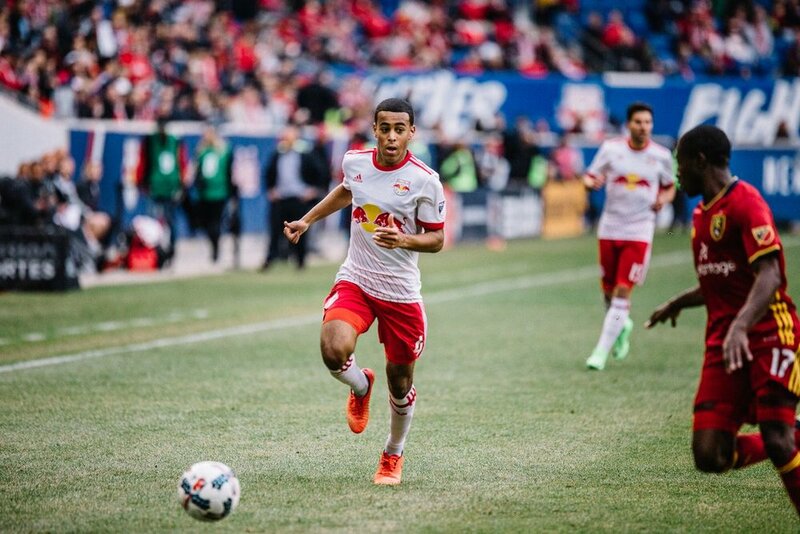 The next generation of U.S. players can potentially become the most successful one ever. For example, there are more young players competing in Mexico and debuting in Liga MX; and there are more U.S. born players currently competing at the academy and senior levels in Spain, Germany, England, Italy, Poland, Denmark, and other countries in Europe. With the new change in leadership, U.S. Soccer’s 32nd President, Carlos Cordeiro, and the rest of the federation’s leadership, have one of the most challenging mandates in recent times, to turn the USMNT program around for the better. While the pool of talent is better and larger that it ever has been for future national teams, the make up of the team will depend greatly on what direction the new technical director and national coaches will want to take. Will we rely on better skilled technical players? Will we continue to stick to more physical and less talented players while the rest of the world moves forward? Do we take advantage of our players with international experience, like the rest of the world? Or do we follow a more protectionist approach and rely on our domestically produced talent? Only the future will reveal what is to come. 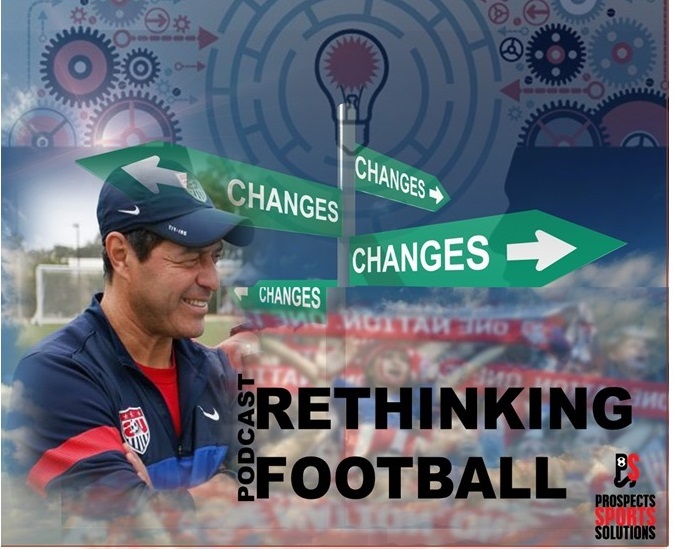 In this episode of Rethinking Football, we talk to Hugo Perez about the ways we can improve our USMNT program and take advantage of the next generation of players. Host: Let's transition and talk a little bit about your experience and your perspective as a national coach. A lot of people don't know how the scouting process works. Can you talk about what the processes in the US to identify players for the national team? Guest: Well, I can only tell you about my experience. I have not been working for US soccer. I left there three years ago. But when I was there, we had personnel working with us and we would talk to them about what type of players we were looking for. We would scout and have people scout at academy games. We would describe to the Academy personnel, and coaches (our player profiles). We would talk to them and give them an idea about what type of players we were looking for and why. The scouts were also given that direction, to pick certain types of players that, we felt, the were going to be helpful in implementing the philosophy and style of play that we wanted to proceed with at youth national teams. Host: Hugo, when we first spoke, you mentioned that national coaches had some autonomy when it came to identifying players. Can you tell us what initiatives you implemented to access bigger player pools? Guest: I personally did training centers every month to attract different players from different academies. But I always spoke to the coaches in those clubs and told them what type of players I was looking for because I didn't want them to send just any player that they thought was good. I specifically gave them the profile of player I was looking for. So, that way when they came to our training centers, we would look at them and see how good they were. And I also started another program once a month, but it was not only to identify players. It was about teaching them so they could be ready when they were called to national team camps. Host: Where did you implement this initiative? Told them "send me this type of player." Because I would like to look at them, because we were doing it for US Soccer...and, although we do not have a lot of scouts but if we could get 400 or 500 kids for a weekend, we could at least get one player we would otherwise not see because of the lack of scouting, and because the country is so big. We were able to do that, and were very successful with it. Host: It sounds like a great idea. I know other national governing bodies do similar initiatives. Is this something that US Soccer has scaled? And, what I mean is, do other national coaches do this regionally as part of their job with US Soccer? Guest: I don't think it's been done as much as when I was there. I think they should consider doing that again because that helps a lot. Mexico does that I think three or four times out of the year. They go to different places (in the U.S.) and they speak to all the youth clubs, all the teams in the Hispanic leagues. And, invite them for the weekend so they can see 400/500 kids, sometimes up to 800 players. And, that is how they sometimes identify players for their national team programs. Host: You mentioned that you don't think that there are enough scouts in the US. Do we have any US scouts that are looking beyond the US, looking overseas for players? Guest: Yeah. I think they do. I am not 100% (sure) but I think they do. Host: And, for youth. Right? Guest: Yeah for youth, not many, not many, but they do. But I think it comes down to (this), when you talk about scouts. I know that there are a lot of scouts in Europe for every professional club. But when you speak to those scouts or you speak to different federations in those countries, what they do well is that they (the professional teams) have a good relationship with their federations in their countries. And, the professional clubs and the federations have a good relationship with the youth clubs. What that means is that it becomes easier when they have that because, now, all those clubs become scouts, those coaches in those clubs become scouts, whether it is the federation or the professional club (that is looking for players). And, they are working so close with each other that, even though they are not completely hired by the Federation or the professional club, they are willing to help. What happens is that because they have been approached by the Federation and professional clubs, and they help them in different ways, they (the youth clubs) are willing to help back by looking, by scouting or calling somebody from the club or from the Federation, when they see a player. "Hey look we found a player here and we can send it to you..." And that has helped a lot. Host: But could the state associations (in the U.S.) help with scouting and work better with the Federation? Guest: Yes. They can but you have to reach out to them, and you have to have a specific plan for what you are looking for. That's one thing. And, the second thing is, where are they (the state associations) going to get help from? Remember, the associations have a lot of power because the clubs are registered through them. So, they should have their own programs, and work with US Soccer, as long as US Soccer backs them up. And, (US Soccer) gives them (state associations) an incentive. So, that way they (State associations) can get some help from them (US soccer) to reach more players, and scout more players. Host: In Europe, they say the best football is in Europe but the best players come from the Americas. When players come to Spain from South America or Central America, they are viewed as assets. Do you think Latin American children or Hispanic American children are viewed as assets here in the US? So, that tells you something. Again, I don't believe that results is the thing that measures how well you are doing necessarily. I think what measures how well you're doing is the type of football that we play. Are we proactive? Or are we just the type of team that goes to the (World Cup) and competes, and thinks "Well, we will do this if this happens..." or are we the type of country that says "Well, we can compete with this type of players, even though our type of football will not be too attractive..."? All those things come into account. And, when you are working in a federation, you have to think about all those things. Now, if you get a little country in Africa or in Central America that is small, where you do not have volume of players that you can choose from, then obviously, you still have to think about what you are going to do. But you are talking about America, where millions of kids are playing, and thousands of teams are in this country, I think we should be able to do a better job in picking players, in teaching the football that can help them become elite players instead of just good players. And, we could put them in the best teams in the world. Then we are going to be able to compete against those 10 countries that are always favored to win World Cups. Host: Right. So you're talking about not just a win but to play well. So even if you lose but you are playing well and you're thinking about the future...So really it's more about a mindset? Guest: It's a mindset but is also again, look, when you look at the world, the way football is, and you look at teams, best teams in the world. Some of the best teams in the world have different styles they play. But the difference is the type of coach that believes in a certain style of play, that is the difference. Because all those top teams, we're talking about Real Madrid, we're talking about Bayern Munich, talking about Barcelona, Chelsea, Chester City, all those teams have great players. But when you look at them, not all those teams play the same style. And, part of it is that you have different type of coaches that believe in different styles. So when I talk about results, it all depends on who is running the program, what type of football they want to play. Our problem here, in America, is that we don't have the luxury yet to be able to have, for example, professional clubs in this country where you see that 80% of the players playing in those professional clubs have a great foundation technically. And, that they can go from one team to another team, or they can go from one coach to another coach, and still have that. We don't have that here. Most of our best players in this country, in the MLS, if you look at the league, the Best players are the foreigners. The South American players, the Argentinians, Uruguayans, players like Giovinco, Italian, those are the best players. Whether we like it or not, those are the best players. Why? Because they are technical, they are creative, they have been in top teams in the world. (It's) for a reason that we need to produce in our players here. But again, that is not going to happen if we concentrate only on getting results at whatever cost. Now, the only way to do this getting the results, but getting those results with different style of football, and picking those types of players that can help us increase our competitiveness. And, not just getting results but playing football, attractive football. I always say that football is kind of an art. You create, you do things when you go to the stadium. I always talk about the story, when I was young, my first professional game I saw, I was 7 years old. And, I went to see it, and I fell in love with it. I fell in love with the type of players that I saw playing there. Those players were technical, creative. They did things with the ball that attracted me so much. I saw the people applauding and getting up because they played that type of football. And, that is the football I grew up with. I respect all types of styles that people play and kids play, but I grew up with this essence of football. And, when I read about Johan Cruyff when he was in Barcelona, what he taught, what he brought. Pep Guardiola in Barcelona, Bielsa in Spain... all those coaches have something in common. They liked beautiful football, they liked technical players. They didn't stress too much on the size, the physical. But they love players that would entertain the fans at the stadiums. And, that is how I am. I'm not saying that my thinking is better than everybody else's. No. But living here in America for a lot of years and watching what we do, I think we need to change. We need to go in a different direction. And, try it the other way. I feel strongly about that, and I think our players are able to do that. Host: I want to circle back to something that you touched on recently. You were talking about certain types of national coaches, and I would like to know in your opinion what you think of as a good type of national coach and why? Guest: I think to be a national team coach, you have to have certain characteristics. You have to have a good understanding of the culture. You have to have a good understanding of, in your mind, your conviction of what type of football you want to play. You have to have a good idea of the team you’re going to hire, making sure that those people are in tune with you. You have to have a good plan when you are basically building a national team program, or a national team depending on the age. You have to have the knowledge to pick the players that you think are going to help your national team. You have to have international experience. Host: One of the things we, at Prospects Sports, have noticed through our studies is that there aren’t enough coaches with professional experience coaching. For example, in Spain, a great player like Guti or Roberto Carlos, become youth coaches for Real Madrid and start coaching a youth team and move up the ranks. The same thing happened with Zidane, Guardiola, Bielsa, Pochettino, and so on. And this happens in every club. The head coach for our international academy is a semi-retired pro-player, a regional scout for Deportivo Coruña and other Liga teams. How important is it for academies and national teams to have coaches who have played professionally even at a young age? Guest: I always think that, and this is something that not everyone will agree but, being a professional player doesn't necessarily make you a great coach. But it does give you the advantage because you've played at that level, you understand the players at that level, you went through different difficulties that level. So you are more experienced, in that sense, when you become a coach. But then all the factor comes into play, is how prepared you are and how well you understand the job that you're going to be doing as a coach. I think those things are necessary. Also, as a coach, when you come in or get into a program, do you want to be the same as everyone else has been for years and years? Or do you think you can change, (do) something different according to the knowledge you have? And, the understanding you have of how you want to proceed with a program and how you want to change it from the previous years. Because if you bring somebody, or you become somebody that coaches at the national team, and you want to follow people that were here, then you are going to do the same thing. I think that the important thing is about learning what others did, the right thing or the wrong thing, and improving that. But at the end, I also think that wherever you grew up as a player, however type of player you think you were, it comes down to that. If you were a technical player, you are always going to like players that are technical, players that are creative. It doesn't mean that you are not going to bring players that can defend and all that, no. But it does mean that you like more attractive football; are you like a type of football that you have seen in years and years here. So, I think those are the things that a coach that comes to that level have or think about. Host: That makes a lot of sense. Can you name someone that you would consider to be a good type of national coach? Guest: You mean for our program here? Guest: For what I've seen so far in our programs here, I believe that we need to have somebody with the capacity to have all the traits that I've mentioned. And, I think we have some young coaches here that could benefit from somebody with all those capacities. I personally think that Marcelo Bielsa would be a good fit for our country. And, the reason I say that is because history shows us what he has done through the years with different programs, and national teams and clubs. And Bielsa has all the traits that I have mentioned, apart from that, I think he's a good teacher of the game. And, if he would come here, I think that all of us, especially the young coaches in MLS, would learn so much from him that he would leave a big legacy for years to come. And our coaches would benefit a lot from him because (of that). I have studied him a lot over the years and apart from being a good coach, he's a good teacher. He is an honest man. He's very passionate about (the sport) which is I think is something that we need here also. He grooms young players well. I always give this example, those Chilean players competing in top teams in the world, they were under him before they became big. And, he helped them a lot to become and to be where they are at. Arturo Vidal, Gary Medel, Alexis Sanchez, Claudio Bravo...all those players were under him, at that time they were young. And, every player that you speak to and asked how Bielsa worked, they are always going to tell you that they learned so much about football with him. And, the tactical basis, the technical basis, the way he works. I have seen a lot of work from him and I see how he works with players; I just don't see it here right now. I haven't seen it, to be honest with you, with anybody here in our country. So for me he will be the perfect fit, especially now that we have not qualified for the World Cup. We Need a new mission. We need somebody with different ideas. And, our players, I can tell you, our young players will benefit so much with him... it would be huge. So he is the only one that I think that can help us right now. Now I would like to have Guardiola come in, there are other ones, but Bielsa is better because the way our program is right now. Remember the generation of players that played in the World Cup for the last three cycles, they're fazing out now. We are getting a new kids now, and those are the ones that need to be groomed correctly, and need to be taught correctly by somebody with the abilities of Bielsa. Host: Right. Let's talk a little bit about grooming players and helping to advance their level. One of the beliefs that we subscribe to is that for a talented player to move to a higher level, they must train in an immersive environment. And, that philosophy is supported by research. And, by immersive environment, I mean (it's) where to take a player and you put them in a more advanced development system, and they play with local players who a have a much higher level. And, this can happen anywhere , I can happen in the US, Germany, Spain, wherever...but I guess what I'd like to ask you is what do you see as the advantages for our US youth players who are playing in an immersive environment in other countries? Do you think they have a greater chance of success or that they're on a better path toward professionalism? And if so why? I give you the first one here in America. Our league does not have a relegation (and promotion) system here. The MLS doesn't have that. So whether you finish in last place or you win the league, the teams are not going anywhere. So for example, if I am a staff working with an MLS academy, what is my goal? One of them is to find talented players that I can groom and see if I can make sure that when they turn 17 or 18, they can be playing in the first team. Should be in my priority at the Academy level. Now, at the same time, I want to make sure that my head coach and the owner, believe in those types of players, believe in young players. Because if they don't believe in them, you may have an Academy program here in the US that is creating players and try to groom them, but if there is no chance to play, you will never see them. So you have to have that head coach from the first team in tune with the academies and not be afraid to bring a young kid. Now, not all the talented players make it when they are 17 or 18. Some develop at 17 or 18, some develop less, some develop more. But my point is that if you have a path before you get to the first team, and you have the right people teaching those kids, there is room for those kids to come and play at 17 or 18, and play with the first team, 20 minutes, 30 minutes, to test them. But you keep them involved because that is how they are going to develop. They won't develop at the same age all the time. Now we go to Europe, and Europe is different. It's already an advantage, them being over there in an Academy program. Because as we discussed this before, the environment is different, the competition is different, games are different. All those clubs have leagues with promotion and relegation. Are all those things are different than here, and the advantage of our youth players playing over there, competing at that level, whether we like it or not, it is better than here. But still, I think here we can do a better job at giving opportunities to our young players more than what we usually do. And, I'll give you an example, I think there was an article from weeks ago where they ask Pulisic about his experience in Europe. And, one of the things he brought up was "I feel sorry for someone my (former) teammates in the national team because they don't get a chance to play. " He said that because obviously in Germany, one of the things I like about Germany is that if they give opportunities to play to young players with the first team. Pulisic is a '98, he's going to be 20 but when he first got there he was young, and he was playing Champions League. Now we have players that are creative enough like Pulisic in this country that are in academy programs, but they are not getting a chance. Because obviously, the coaches still don't believe but it is important for those players to come to the first team because they want to get results. And I agree that they need to get results but what is the meaning of those results? I mean you have an Academy player where you were spending $2 million a year. And, you don't see too many youth Academy players that have been signed to professional contracts starting. They need to think about that, specially when you don't have a promotion and relegation, You have nothing to lose, to put a young guy for two young kids with senior guys, foreign guys. I'm sure that if you give them time and they are talented, they're going to do great. But again it comes down to the head coach. Does he want that? Or does he just feel that he needs to win because he's going to get fired? And, I always say this: you're going to get fired anyway. Sooner or later you're going to get fired but when you have academies spending that much money, you need to concentrate a lot in developing those players because in the end they can play for you or you can sell them to Europe. That is the way it is and that is the way every club in the world does it. Host: That's right and it seems to me that one of the biggest issues in the US is that there's not a real bridge for kids who graduate out of the academy system to move into a more direct path to professionalism. I know some kids will play at the college level but it's different here, than say for example in Spain, where they're there really is a path to professionalism from the Academy level. For example, they spend an additional year or can stay an additional year in the Academy system there. And, before when you and I spoke, you made an interesting comment about how the best youth players in the US need to go to Europe to train and develop. And, I think that, at least for my perspective, that the bridge that does not exist here in the US, but does in other countries is an important factor for those best youth players in the US. So, can you talk a little bit more about about why you think that players who are at that level should go and play in Europe? Guest: OK because here in the US, I think I mentioned this to you earlier, but more than 90% of the kids here are going to go to college. And that is the way it is here. You know, college soccer is a sport. But when you look at it in reality, is a support for those kids to compete. But basically what they are doing is going to college for four years and are going to get a degree. Because college football is difficult. A difficult thing to do for a player who wants to be a pro because there are so many rules. You don't play a lot, you only play 3 1/2 months out of the year, you only compete at a high-level for 3 1/2 months. In a month you don't do much, you don't compete. So it's hard to develop a player. Then you have the rules to tell you that you cannot play with players because NCAA does not permit that. So now, families and players who have the potential of becoming a professional have to make a choice. Do I stay here and go to college, get a scholarship, get a degree? Or do I really want to pursue my dream I am play football at a higher level? But that means I have to sacrifice and leave my country. That's a difficult thing because it comes down to what the family is going to decide. But if you go there (to Europe), if you decide to go, the path over there in Europe, whether we like it or not, is a great thing for our kids. But you know, it is difficult also because it's so different than what we do here, in America. But once you make it, once you establish yourself, you are ahead of the game from the kids that are here. There's no question about that. But again, can we improve things here? My question always is, why is Uruguay one of the top countries that sells players to the world? This is a small country, and some of the great players that they have play in some of the top teams in the world. Why is that? The number one is probably Brazil, number two is probably Argentina that export more players to the world. And we you talk about those countries, except for maybe Argentina or Brazil, those countries or maybe the size of New Jersey! So there is something that they are doing well in their culture. But that is football coach here also. Still I think that here we can do better. Honestly, we can do better but we need to have people that are thinking of doing that for our players. Because then we will become a country that exports players. And, the more you do that, better national teams you will have. Because now you would have say, American players playing in top teams. It's an advantage right now with the kids that we have who are playing in Europe and come back, the young ones. The '98 groups, the '99 groups that are playing in Europe right now, in two/three years going to be good if somebody gets them, we get the right (national) coach to work with them. Because they are a talented, they are in Europe now, they are competing, which has a big advantage over anybody that stays here. Host: That's right and hopefully the future technical director and coaching staff for the USMNT will start to notice some of these American players who are playing overseas and who can bring a lot of talent and a lot of energy to the team. Hugo, thank you so much for joining us on Rethinking Football l. It's been great to get to know you and to learn from you! Please join us for the next episode of Rethinking Football as we continue our conversations about how the world of football can change.